Palo Alto, CA and San Diego, CA November 18, 2015 – Celladon Corporation (Nasdaq: CLDN) and Eiger BioPharmaceuticals, Inc., a privately-held biopharmaceutical company, today announced that they have entered into a definitive merger agreement under which the stockholders of Eiger would become the majority owners of Celladon, and the operations of Celladon and Eiger would be combined. The proposed merger remains subject to certain conditions, including the approval of Celladon stockholders. If approved, upon closing of the transaction, Celladon will be renamed Eiger BioPharmaceuticals, Inc.
An investor syndicate has committed to invest $39.5 million in the combined company including new investors HBM Healthcare Investments, RA Capital Management, Sabby Management, Sphera Global Healthcare, Perceptive Advisors and Monashee Capital Partners together with existing long-time Eiger stockholders, ViVo Capital and InterWest Partners. Six million dollars of the financing has already been funded, and the remaining $33.5 million is expected to close contemporaneously with the completion of the proposed merger. The total cash balance of the combined company upon the closing of the proposed merger and the financing is expected to be greater than $60 million. The proposed merger will create a clinical-stage company with a diversified development portfolio of product candidates addressing novel targets for four distinct orphan diseases: Hepatitis Delta Virus, bariatric surgery-induced hyperinsulinemic hypoglycemia, pulmonary arterial hypertension, and lymphedema. Existing Eiger stockholders as well as investors in the contemporaneous financing will receive newly issued shares of Celladon common stock in connection with the proposed merger. Celladon is expected to issue approximately 85.0 million new shares of its common stock to Eiger stockholders and participants in the financing. On a pro forma basis for the combined company, current Celladon shareholders are expected to own approximately 22%, current Eiger shareholders approximately 45% and the new Eiger investor syndicate approximately 33%, each on a fully-diluted basis. The transaction has been unanimously approved by the boards of directors of both companies, and a majority of Eiger stockholders have agreed to vote in favor of the transaction. The proposed merger is expected to close in the first half of 2016, subject to the approval of the stockholders of each company as well as regulatory approval and other customary conditions. The merger agreement contains further details with respect to the proposed merger. Celladon’s exclusive financial advisor in the transaction is Wedbush PacGrow Healthcare. Jefferies LLC is acting as lead financial advisor to Eiger and Piper Jaffray is acting as financial advisor. Pillsbury Winthrop Shaw Pittman LLP served as legal counsel to Celladon and Cooley LLP served as legal counsel to Eiger. The directors and executive officers of Celladon will resign from their positions with Celladon upon the closing of the proposed merger, and the combined company will be under the leadership of Eiger’s current executive management team with David Cory serving as President and Chief Executive Officer. Following the closing of the proposed merger, the Board of Directors of the combined company is expected to consist of seven members all of whom will be designated by Eiger. The corporate headquarters will be located in the San Francisco Bay Area. Celladon also announced that, as part of a further reduction in force implemented in connection with the signing of the merger agreement, Paul Cleveland, President and Chief Executive Officer, is leaving the company effective November 19, 2015 to pursue other industry opportunities. Fredrik Wiklund, Celladon’s Vice President of Corporate Development and Investor Relations has been named Celladon’s President and Chief Executive Officer effective the same date. Eiger is a clinical-stage biopharmaceutical company committed to bringing to market products for the treatment of Orphan diseases. The company has built a diverse, clinical-stage portfolio of product candidates with the potential to address diseases for which the unmet medical need is high, the biology is clear and an effective therapy is urgently needed. The Eiger management team has been involved in the development and commercialization of five successful orphan drug programs for other companies, raised over $1 billion in the capital markets, and developed and commercialized drugs across multiple therapeutic areas. Lonafarnib is a well-characterized, late-stage, orally active inhibitor of farnesyl transferase, an enzyme involved in modification of proteins through a process called prenylation. HDV uses this host cell process inside liver cells to complete a key step in its life cycle. Lonafarnib inhibits the prenylation step of HDV replication inside liver cells and blocks the virus life cycle at the stage of assembly. Since prenylation is carried out by a host enzyme, this compound may present a higher barrier to development of viral resistance mutations to therapy. Lonafarnib has been dosed in over 50 HDV infected patients across international academic centers and is in Phase 2 development for HDV. Lonafarnib has been granted Orphan Drug Designation by the US FDA and European Medicines Agency (EMA), and Fast Track Designation by US FDA. Lonafarnib is not approved for any indication, and is licensed from Merck Sharpe & Dohme Corp. (known as MSD outside of the United States and Canada). Hepatitis Delta (or Hepatitis D) is caused by infection with HDV and is considered to be one of the most severe forms of viral hepatitis in humans. Hepatitis D occurs only as a co-infection in individuals harboring Hepatitis B Virus (HBV). Hepatitis D leads to more severe liver disease than HBV alone and is associated with accelerated liver fibrosis, liver cancer, and liver failure. Hepatitis D is a disease with a significant impact on global health, which may affect up to approximately 15 million people worldwide. The prevalence of HDV varies among different parts of the world. Globally, HDV infection is reported to be present in approximately 5-6% of chronic Hepatitis B carriers. In some parts of the world, including certain areas of China, Mongolia, Russia, Central Asia, Turkey, Africa, and South America, HDV prevalence as high as 70% has been reported in HBV infected patients. Exendin (9‑39) is a glucagon-like peptide-1 (or GLP-1) receptor antagonist that is being developed as a treatment for hyperinsulinemic hypoglycemia associated with bariatric surgery such as gastric bypass. This form of hypoglycemia is a debilitating and potentially life-threatening condition. As the use of bariatric surgical procedures increases worldwide, a new post-surgical complication, hyperinsulinemic hypoglycemia, has been increasingly reported. This disorder leads to frequent symptomatic hypoglycemia, often resulting in glucose concentrations low enough to cause seizures, altered mental status, loss of consciousness, cognitive dysfunction, disability and death. Quality of life can be severely diminished, and many patients cannot care for themselves or others, work, drive, or be left alone. There is no approved therapy and the unmet medical need is high. Stanford University endocrinologists have demonstrated clinical proof of concept in 18 patients suffering from gastric bypass induced hypoglycemia that exendin (9-39) can prevent post-prandial (post-meal) hypoglycemia in affected patients. 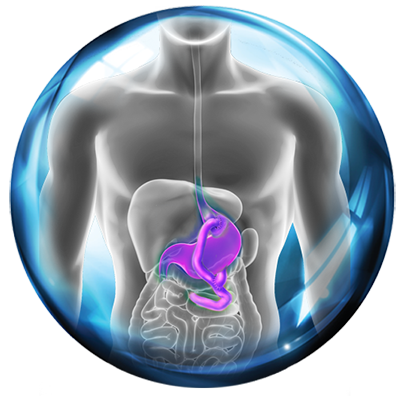 Data has been generated using both intravenous delivery and a novel subcutaneous (SQ) formulation delivery. Pharmacokinetics indicate that the SQ formulation may enable once or twice a day pre-prandial (pre-meal) dosing. A Phase 2 dose ranging study is planned to begin enrollment in early 2016. Ubenimex is being developed for Pulmonary Arterial Hypertension (PAH) as well as other inflammatory diseases involving leukotriene B4 (LTB4). Ubenimex is a well-characterized, oral, small molecule inhibitor of the enzyme, or hydrolase, responsible for converting LTA4 to LTB4, a naturally occurring inflammatory mediator. Ubenimex has been marketed in Japan by Nippon Kayaku Co., Ltd. for over 25 years for a different indication but Ubenimex is not approved for any indication in the U.S. or Europe. Results of a study published in Science Translational Medicine by Stanford University pulmonary researchers demonstrate that both LTB4 and LTA4 hydrolase are elevated in animal models of PAH and human PAH disease. Elevated LTB4 caused inflammation resulting in arteriole occlusion and hypertension in animal models of PAH. Targeted pharmacologic inhibition of LTB4, including Ubenimex, reversed PAH disease in treated animals; obstructed arterioles opened, cardiac function improved, and the animals survived. Ubenimex is thus a potential therapeutic candidate for treatment of PAH where pathological inflammation is believed to be important in the etiology of the disease. Ubenimex is in-licensed for the treatment of PAH and other inflammatory diseases, including lymphedema from Nippon Kayaku. Eiger has already filed and received IND approval for Ubenimex in PAH and a multi-center, Phase 2 study will begin enrolling in early 2016. Stanford University cardiology researchers have demonstrated that LTB4 is elevated in both animal models of lymphedema as well as human lymphedema, and that elevated LTB4 is associated with tissue inflammation and impaired lymphatic function. Researchers went on to demonstrate that targeted pharmacologic inhibition of LTB4 promotes physiologic lymphatic repair and reverses lymphedema disease in treated animals. 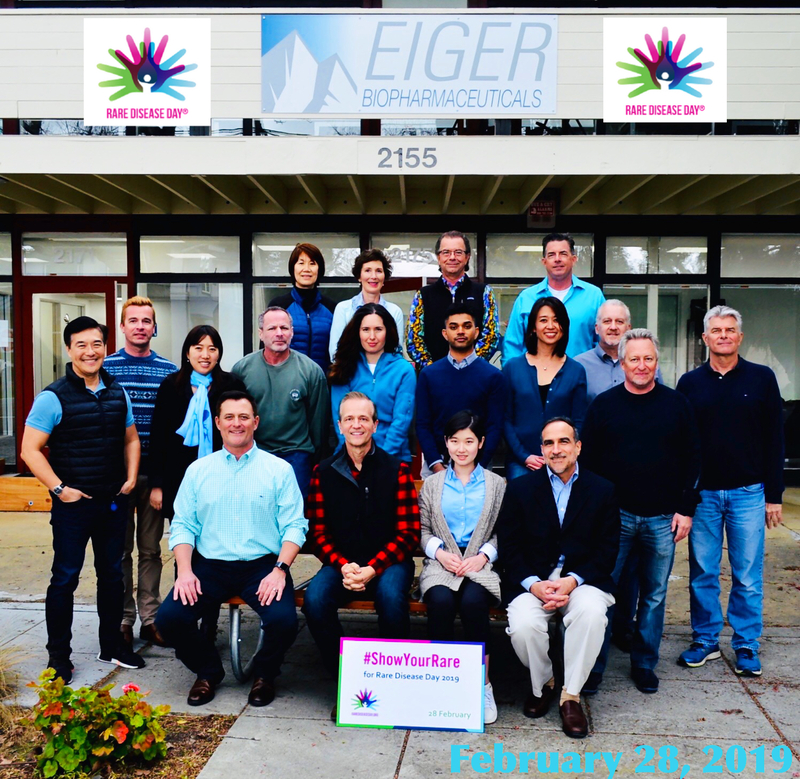 Based on this work, Eiger is preparing an IND for ubenimex for lymphedema and plans to begin enrolling a Phase 2 study at Stanford University in early 2016. In connection with the proposed merger, Celladon and Eiger intend to file relevant materials with the Securities and Exchange Commission, or the SEC, including a registration statement on Form S‑4 that will contain a prospectus and a joint proxy statement. Investors and security holders of Celladon and Eiger are urged to read these materials when they become available because they will contain important information about Celladon, Eiger and the proposed merger. The joint proxy statement, prospectus and other relevant materials (when they become available), and any other documents filed by Celladon with the SEC, may be obtained free of charge at the SEC web site at www.sec.gov. In addition, investors and security holders may obtain free copies of the documents filed with the SEC by Celladon by directing a written request to: Celladon Corporation, 12707 High Bluff Dr #200, San Diego, CA 92130, Attention: Investor Relations. Investors and security holders are urged to read the joint proxy statement, prospectus and the other relevant materials when they become available before making any voting or investment decision with respect to the proposed merger. Celladon and its directors and executive officers and Eiger and its directors and executive officers may be deemed to be participants in the solicitation of proxies from the stockholders of Celladon in connection with the proposed transaction. Information regarding the special interests of these directors and executive officers in the proposed merger will be included in the joint proxy statement/prospectus referred to above. Additional information regarding the directors and executive officers of Celladon is also included in Celladon Annual Report on Form 10-K for the year ended December 31, 2014 and the proxy statement for Celladon’s 2015 Annual Meeting of Stockholders. These documents are available free of charge at the SEC web site (www.sec.gov) and from Investor Relations at Celladon at the address described above. Statements contained in this press release regarding matters that are not historical facts are “forward-looking statements” within the meaning of the Private Securities Litigation Reform Act of 1995. Such statements include, but are not limited to, statements regarding the structure, timing and completion of our proposed merger with Eiger; our continued listing on NASDAQ prior to and after the proposed merger; our expectations regarding the capitalization, resources and ownership structure of the combined organization; our expectations regarding the sufficiency of the combined organization’s resources to fund the advancement of any development program or the completion of any clinical trial; the timing and nature of the planned equity investment in connection with the proposed merger; the nature, strategy and focus of the combined organization; the safety, efficacy and projected development timeline and commercial potential of any product candidates; the executive officer and board structure of the combined organization; and the expectations regarding voting by Celladon and Eiger stockholders. 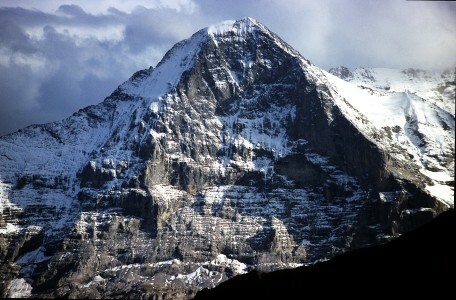 Celladon and/or Eiger may not actually achieve the proposed merger, or any plans or product development goals in a timely manner, if at all, or otherwise carry out the intentions or meet the expectations or projections disclosed in our forward-looking statements, and you should not place undue reliance on these forward-looking statements. Because such statements are subject to risks and uncertainties, actual results may differ materially from those expressed or implied by such forward-looking statements. These forward-looking statements are based upon Celladon’s and Eiger’s current expectations and involve assumptions that may never materialize or may prove to be incorrect. Actual results and the timing of events could differ materially from those anticipated in such forward-looking statements as a result of various risks and uncertainties, which include, without limitation, risks and uncertainties associated with stockholder approval of and the ability to consummate the proposed merger through the process being conducted by Celladon and Eiger, the ability to project future cash utilization and reserves needed for contingent future liabilities and business operations, the availability of sufficient resources for combined company operations and to conduct or continue planned clinical development programs, the ability to successfully develop any of Eiger’s product candidates, and the risks associated with the process of developing, obtain regulatory approval for and commercializing drug candidates that are safe and effective for use as human therapeutics. Risks and uncertainties facing Celladon are described more fully in Celladon’s periodic reports filed with the Securities and Exchange Commission. All forward-looking statements contained in this press release speak only as of the date on which they were made. Celladon undertakes no obligation to update such statements to reflect events that occur or circumstances that exist after the date on which they were made.